By using OnPage’s cloud-based, virtual paging app in conjunction with ConnectWise, Michigan-based MSP Cygnus Systems Inc. has grown faster than Plasticman. 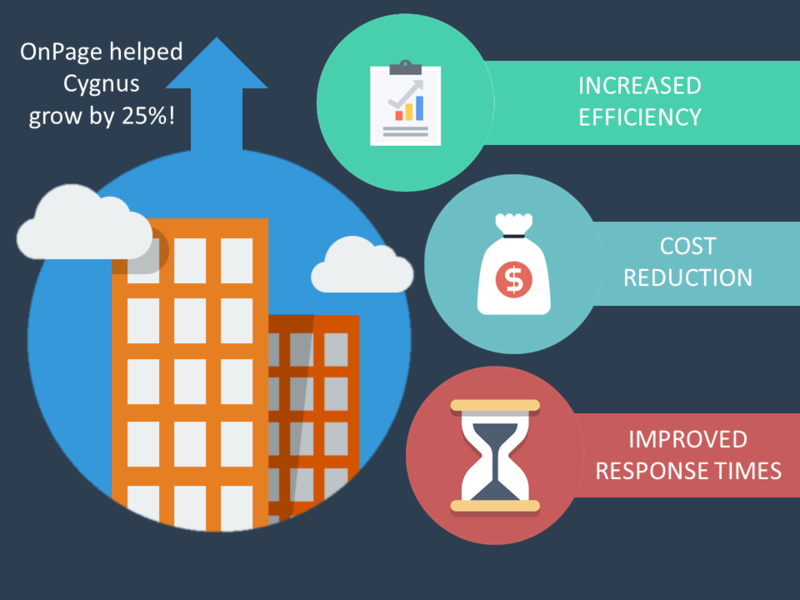 Through OnPage integration, Cygnus has been able improve its response time to critical IT alerts , grow its profits by over 25% in the last year alone and provide consistent service to its customers. 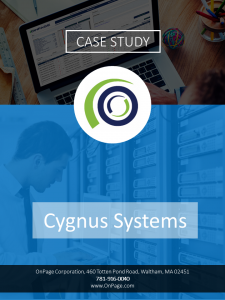 In writing our case study on Cygnus’ successful use of OnPage, we talked to the company’s operations manager Craig Isaacs to learn how our technology has enabled the company to manage over 1100 endpoints and grow significantly. According to Craig, OnPage provides him with the necessary confidence to assure clients that IT downtime will be managed and mitigated through immediate and persistent alerts. ConnectWise’s innate ticketing capabilities are triggered by an alert from LabTech. Upon receiving the alert, ConnectWise creates a ticket and sends an email to OnPage which turns the notification into a critical alert on the engineer’s smartphone pager application. Inefficient issue resolution, limited visibility of issues and fragmented communications can plague MSPs if not handled efficiently and quickly. By using ConnectWise in conjunction with OnPage, Cygnus can assure clients of end-to-end service delivery and provide constant uptime per the terms of their contractual SLAs. Using OnPage is a key component in the portfolio which has enabled Cygnus’ growth from a project-based IT provider to a full-service MSP providing over 40 different services. With OnPage, Cygnus can slash response time to critical alerts and get IT to work as quickly as possible to resolve incidents. Want to learn more? Read the case study.